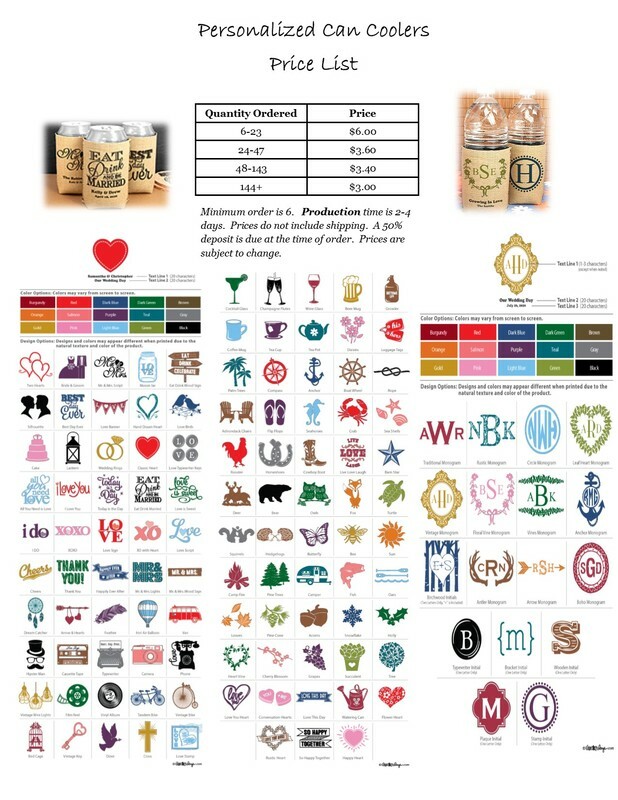 Looking for the perfect favor for a bridal or baby shower or a unique table favor for a country wedding reception on a hot summer night? 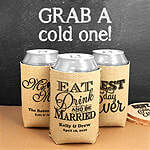 Delight all your guests with these unique and Personalized Can Coolers. Lined with sturdy, insulating neoprene and covered with a rustic burlap exterior, these coolers make a practical favor that maintains a beautiful rustic theme. Your guests will appreciate taking home a personalized memento that they'll use long after the party is over. Choose from dozens of graphic options and include three lines of text to create a personalized design to coordinate perfectly with your upcoming event. Should you choose not to add any personalized text, the graphic option will be centered on the front of each can cooler (5.125" h x 3.75" w). Designs with small text or fine shapes will lose some detail on the irregularities of the burlap texture. This product is currently unavailable to order online. To place an order call 785.357.0090 or by email pyours@att.net. Coozies, Cups, Plates, Napkins & More!